Please note, before I begin, that the following are all my own thoughts and words. So, by their very nature, they will be subjective – you’d be amazed of some of the comments I get posted to this blog regarding my audacity to place my opinions on my own site. I welcome discussion, comment and counter opinion – please keep the trolling for the forums. I have been conducting an experiment for the last few years. I was initially fascinated by the watch forums and markets pronouncing for or against so-called homage watches and watchmakers. Is watchmaking an “art” in the true sense? Isn’t all art in some way derivative? Isn’t even the most “original” art a homage in some sense? 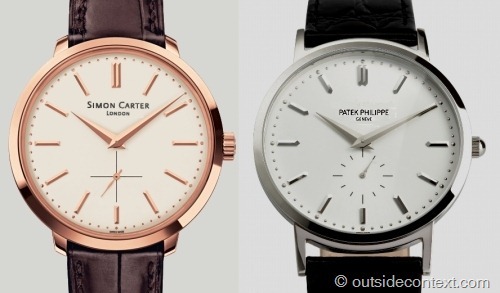 Alternatively, is watchmaking about branding? And so, in the interests of personal curiosity and fascination with watches, I have been buying and selling known homage’s to try and make up my own mind regarding the value of the form. I firmly believe that you can’t judge something over the web or without buying or at least holding the item in the flesh. There is something to be said for the feelings of “buyer’s remorse” for illuminating your real feelings. Anyway, Just what is a homage? Homage is surely more than mere mimicry, the sort of pastiche “fake” watches found all over the markets of the Far East. I remember visiting a watch market in Li Jiang, China and coming across a fake Bell & Ross watch for $90 that was indistinguishable from the real thing. I thought to myself that this was as simple as a fake got: a watch that copies the original in its surface aspects. A skin-deep pastiche. Shallow. Fake. Like some sort of animal pretending to be something it isn’t to ensnare the unwary. But, this again brought pause for thought as the “fake” Bell & Ross had inside it a quartz mechanism and Japanese Quartz at that. The upshot of which is that it probably kept better time than the original. Why pay that extra $2000? After all the “art”, the look and emotion of the piece, is all present and correct in the copy and it looks the same on one’s wrist in terms of fashion. Apart from snobbery over watch internals, complications and other “inside” aspects, is there anything to get hot under the collar about with a “fake” watch and is the homage more than this? Homage is not a bad word in itself, or at least it wasn’t historically, for to give “homage” was to worship something greater than one did. Worship. Fealty. It is a Middle Ages word that only recently has slipped into this new meaning of being a fake copy surfing on the coat-tails of its betters. I think that anything can be a homage. From the cinematic works of Quentin Tarantino, which are chock-full of loving little homage’s to classic films, to Hellmanns, which is surely a homage to Mayonnaise (either that or wallpaper paste). What do we want from our homage watches? Surely its final purpose, just like the original, is to tell the time? I really don’t think so. On my return from my travels, I went looking for something to replace my ever-reliable Christopher Ward Kingfisher. To which the person would invariably go on about their shiny new phone, how screwed they got – or didn’t get – by their last upgrade, their minutes, its megabytes and all those lovely megapixels. In other words, they bought and used their latest ninja-phone from Apple for exactly the same reason I bought my watch. Yes, I could tell time by using a phone, but hell – I could tell the time by looking at the relative position of the sun! 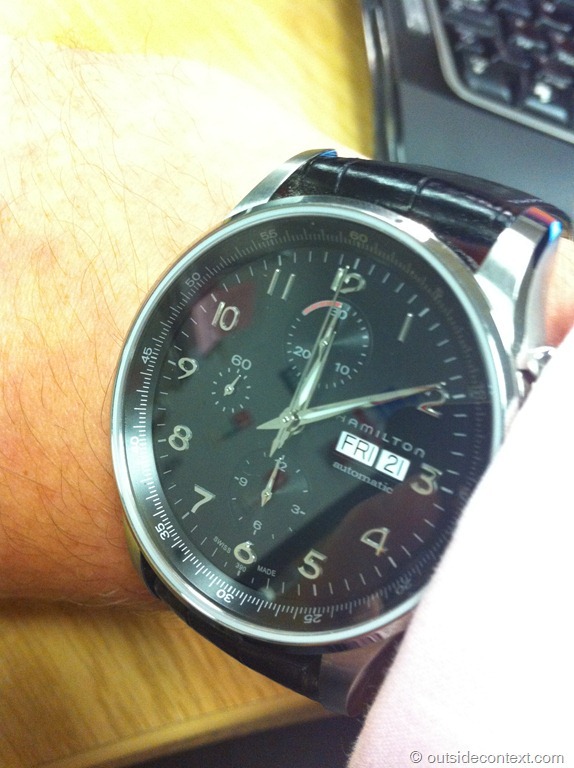 Beyond the simple divination of working hours, watches have the same purpose as modern phones: marking personal status. I realised that like eating peas on the back of one’s fork (I can’t as they fall off), having gone the “right” school (I didn’t, I went to a comprehensive), studied at the “right” University (I couldn’t get into Cambridge) and come from the “right” side of the tracks (I certainly don’t), a watch marks you out as a member of “the club”. Therefore, buying the right watch for me, one I was happy with, was to say where I saw myself. What the watch “said” of me was an evolving target that changed as I did. This sat well as a hypothesis and so came the testing. I started with the Christopher Ward and his C60, which I have written about at length on this site. Sure, the C60 apes the watches’ it is homage to, but is it subtle enough to be only an “inspiration”? Alternatively, has it mixed so many features from other makers to melange into pastiche and be merely a copy? Upon purchasing and wearing the C60 (the only way to truly judge a watch) I soon realised that no, it is definitely not a pastiche, but that this value is subtle. A thin ice Christopher Ward surfs with every new release. He, I believe, attempts a “distillation” rather than hodge-podge the elements found in the original. Of course such a judgement is subjective and so I turned to the home of the subjective opinion: the Internet. I knew I had found the crucible in which to test my hypothesis when I found a three page forum argument over the lugs on a watch. Each provocateur had posted images of, what to me, were identical lugs and loudly claimed that one was the original style marked out by genius, pure and bright, and the other was a filthy and unholy amalgamation aping its betters, clearly the result of a delusional mind intent on duping people with inferior produce. I’d be buggered if I could tell between them which was original and anyway, is originality so important? Being original is being first, the template, the archetype from which copies are made. This is all well and good, but it is also easy to fake. That is the power of branding. My wife was a branding consultant and I have been well trained by her in “brand awareness”. Branding is in the job of creating fashion. Brands don’t “come” from anywhere. Not in the way they purport to. Take the brand “Superdry”. It’s Japanese right? That Japanese text translates as “Be extreme desiccation!” It originates not in Tokyo’s 109 building as it appears to, but much closer to home: in an East England market. I have a funny story about the 109 building. Walking around this Mecca of cool, this Nebula-like birthplace of half the worlds fashion trends – constantly full to the rafters with the Japanese super-cool, my wife sees a really expensive patterned bag and loudly shouts, “I have that pattern on my ironing board” The looks on the faces of those around me as they struggled with the twin emotions of being made fools of (so embarrassing) and trying to look snide at my wife (who as I said is an expert in branding and dresses quite cool herself) was priceless. What its designers did was grasp the zeitgeist regarding many peoples’ Japanophilia and present itself as a perfect, distilled, “Japanese” brand. So is it fake? No, it’s as original as anything else. The truth is that there is no such thing as fake in branding; because they are all fake. Superdry’s latest collection is all about “Superdry Original” a postmodern retcon of history to present the brand as though it existed “in the past” (when we all looked much better). Soon this will literally become the truth and accepted; 1984 style. I pick on Superdry not because I am claiming their quality is lesser or that the brand is not laser focussed, indeed not. I have been to Japan, it is exactly like Superdry’s brand suggests; with some items (for some reason) costing the Earth (such as Porter bags and Buzz Rickson jackets). All Superdry has done is brought the Japanese-cool “feel” to us without international shipping charges for “real” Japanese items. This could be any brand. All brands are designed to create what is known as “stickiness”. A business starts as either a bespoke or a volume operation. As each cycle of the business comes around the board will often set the balance of the company’s finances (the rate at which money goes in and out) in such a way that the two values of Quality and Price go up. It has to happen slowly of course because if the Price hikes overnight, no matter the Quality of the product, sales will decrease as the customer will be able to buy what it perceives as the same Quality product for less elsewhere. This relationship works interdependently. However, the power of a brand is that it introduces Stickiness into this equation. It is simply the measurement of how likely the customer is to go elsewhere when Prices rise (or indeed Quality falls). Eventually, over a long enough period and with very careful management, the Price of the product will rise high above its normal relationship to the Quality. This happens mainly because the client actively enjoys the product so much that he defines himself through the relationship to it. He is “stuck”. The Price can then rise to almost any level because the Quality is perceived to be in relation. Combined with a perceived “limited supply” and the price will raise even faster and stay high (a la diamonds). Wine too uses this model with the First Growth wines fetching crazy prices. Such as a Petrus ’66, which I once saw on a menu for 23 thousand pounds per bottle! Apple Computers do this notoriously well and are often used as the ultimate business example of this phenomenon. Their late evangelist of “sticky”, Steve Jobs, proclaimed that theirs was the best product and people believed him. I am not saying Apple doesn’t make a good product, that would be slightly ironic as I am typing this on an iPad, what I mean is that any brand can evolve to drive the Price. Brands can even be reborn. Look at Skoda. A joke when I was a kid, a high quality brand now. Where did that perception go? How did Burberry go from being a high quality brand, to be all chavish, and now to be high quality again? Simple, it sorted the Quality of the product and then hired branding experts like my wife’s team. One such company that literally did this was Morrisons supermarket and she got rid of that terrible Black and Yellow logo in favour of “Middle Class” green and then went out and hired Take That to sing about it. I am sure you can see the parallel with watches. Rolex for example, while both “original” and of “high quality” (not that I could tell the lugs apart from the cheaper one) creates a “Stickiness” outside all relation to the product itself. Rolex are not even at the top of this pyramid. Take Patek Philippe whose watches top out at simply massive prices, this is at complete odds with the quality of the product. Of course, there is enough money in the budget for the company to make a high quality product in the first place, but beyond the pure value of the gold used, and the “custom” watch internals, it is the value of the brand, the long-term measure of its stickiness, which puts them on top. If you chose the one on the right, you’re wrong? I swapped the labels. With the “value” of “real” brands being so, well.. worthless? Fake? – it lead me to the next stage of my journey with some direct homages of my own. I bought a Steinhart. This German company is famous for two perceptions: 1. it makes a quality product at a very competitive price. 2. It rips off Rolex. I decided that I would like to try a larger watch. 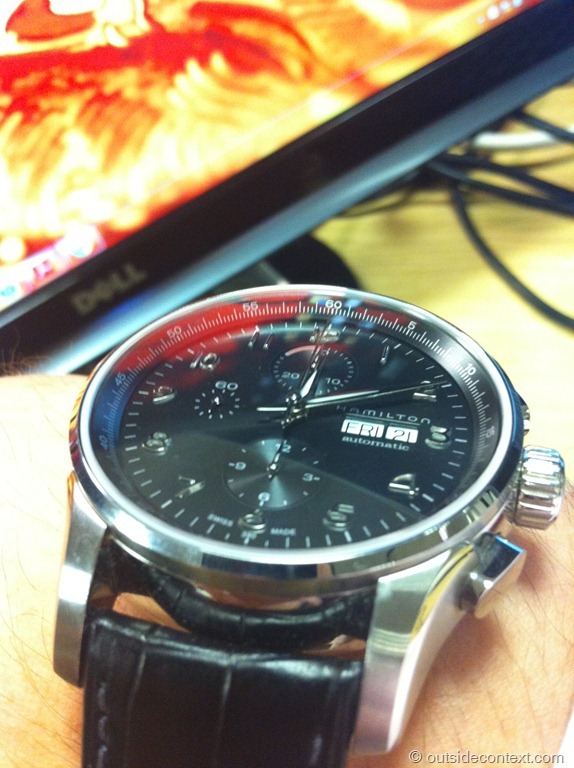 I am a big guy and wanted to see if a 44mm watch (which seemed massive to me) would suit me. Therefore, I bought their homage to the Rolex Deepsea, the Forty-Four GMT Black. The new Ocean Forty-Four GMT is our modern interpretation of a classic design, whose massive processing is a guarantee for high durability and superior quality. It will master any occasion and knows to impress with such sophisticated detailing as the sapphire crystal bezel inlay and a finely engraved Rehaut. In the world of sports watches, this is one of the very few examples in its price range which demonstrates such an excellent cost-performance ratio. This large watch had an air of quality about it the minute I put it on. Indeed after wearing it for a couple of weeks I came to conclusion that it was a homage and not a “copy” in the way many people thought. It is, in pictures, often mistaken for a Rolex Deepsea and this is on purpose. However, it lacks many of the extreme features of the original watch such as being able to dive deep, escape-valves, etc. However, beyond this, once you have them both in your hand you can immediately tell them apart. Not in terms of pure quality, but in style. The Rolex is much much smaller, less chunky and from any angle, apart from straight on, they are worlds apart. Holding them both side by side I also realised that the Steinhart is not trying to “be” the Rolex, rather it is the Rolex as the Germans would make it. High quality steel, solid, chunky, feature rich, no-nonsense and huge. Like a tank on the wrist and almost utilitarian in its brutal execution of the Rolex’s elegance. I couldn’t love it. I, personally, am not a brutal man – or at least I don’t want to come across as so – and thus the Steinhart had to go. Next, I decided to go shopping for something that had the high quality and size of the Steinhart, but that had a lot more sophistication. So, I chose a Hamilton Jazzmaster Maestro. Hamilton’s blurb on the Jazzmaster evokes their brand image of Jazz-era America in 40’s and 50’s. It says that this was the sort of watch that the Brat Pack might wear, with a smooth lined and understated elegance belied by its enormous size (45mm!). Every musical score needs a maestro to achieve true perfection – the Jazzmaster Maestro is ready to take on that role. The model is an instrument of pure elegance with finely marked digits and tapered hands reminiscent of a conductor’s baton in action. It is speaking softly, the originality of the make is like smooth Jazz. Nice. Wait a moment- Similar, no? Yes, in every way but price as the IWC is 5 thousand pounds. Is Hamilton copying IWC here? The quality of the Hamilton is not quite up to IWC standards, but, having worn them both, it’s a damn near thing. In fact I personal feel that the Hamilton, like the Steinhart, is the watch the Americans would make if they made Portuguese’s. It has an air of the US about it. It is also a great bargain, costing 800 pounds for features that on many other “stickier” brands costs 3 times that. It is, therefore, a homage and not a copy. It is saying to the world; here is our “version” of that style of watch, executed with our own vision for it. Homage watches are like cover versions of a song. Moreover, sometimes is not the cover version better than the original? Yes, even Bob Dylan admitted that the Hendrix version of “All Along the Watchtower” was better than his and is not the Alicia Keys version of “Empire State of Mind” better than the original one? I think so. The Hamilton is executed just well enough not to be a copy. The same goes for the Steinhart and the Christopher Ward. 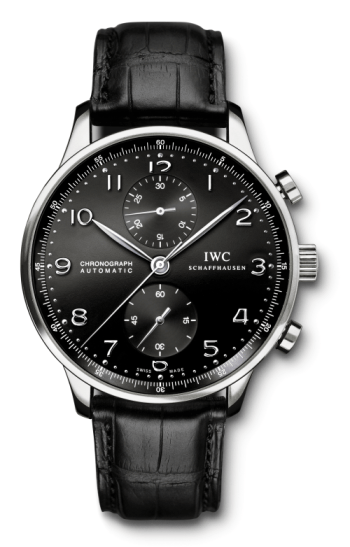 The other day a man next to me on the train was wearing an IWC Portuguese, I recognised it immediately, and I asked myself what it said about him. I realised that it says that he earns more than I do and isn’t married with children. My Hamilton, on the other hand, is classy, but not outlandish. A subjective judgement I know, but that is the point of it. I realised that it is the watch that make’th the man now that we have (mostly) stopped wearing suits. What you like in a watch is a mark of your aspirations as a person. Are you mega-wealthy and want to mark that with a 50 grand watch? Get something designed by Piguet. Are you wealthy, see yourself as mannish, but don’t want to bother with watches much? Get the Omega Seamaster Planet Ocean. Want some heritage points? Then it’s a Patek for you. On the other hand, if you want some sense of reality, something that says you want a high quality product at a good price, then get a Christopher Ward while they are cheap, because their stickiness is rising. All branding is essentially fake, so homages watches are OK because they are ‘cover versions’ that bring their own feel to the product they homage. I soon realised that I live two lives. In one, I am riding the early train to my office in London and running management meetings with my US chiefs. In the other, I am Basho who plays military simulations with all his ex-commando friends. I realised that the Hamilton was not quite appropriate for that use. Therefore, my final part of this journey was to go looking for a watch that spoke to that part of me. I considered many: Luminox, Nite Watches and finally Casio. This is my incoming Casio G-Shock. It is ironic to me that the most original watch I have is the cheapest! It, however, speaks of me (in terms of being large, bright and fully featured of course), of who I want to be and who I see myself as, and that is why I will wear it. My personal “brand” my be only in my head, but it is also on my wrist and its stickiness is rising too.